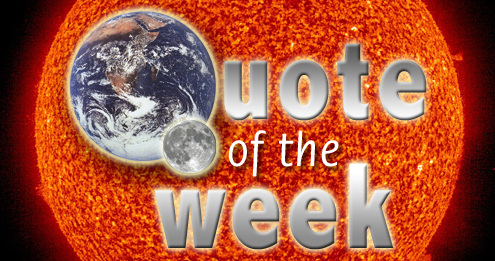 Quote of the Week – bonus edition | Watts Up With That? Normally I have only one, but this has been an extraordinary week. Thanks to the conflict of interest so aptly and unashamedly demonstrated by the IPCC and Greenpeace, warmist Mark Lynas has publicly embraced “denialism”. Well, if the ‘scientists’ are the only ones standing up for the integrity of the scientific process, and the independence of the IPCC, then I too am a ‘scientist’. The unraveling of AGW is accelerating and exposing many of the participants as the unethical charlatans they are. They are being confronted in person locally at climate events and thoroughly shamed on world wide blogs. Even in deep green Oregon their propaganda sessions are being hobbled with insurmountable truth. Several of us attended the second of two Oregon Global Warming Commission (OGWC) “Keep Oregon Cool” sessions in Portland tonight. Because it was a beautiful cool evening in Portland and because people are growing tired of the Global Warming rhetoric, attendance was poor at this event too (about 20 people in addition to the organizers). In fact, we were about a third of the attendees, which gave us considerable leverage. Chairman Angus Duncan had hardly gotten into his talk when a woman I had never met before started questioning him about the cost of alternate energy. Then a young fellow interrupted him also. When Angus did permit questions but still refused to answer them, Kathleen took him to task from across the room, and we had a mini-confrontation develop. It was wonderful. When their formula called for us to break into smaller groups based on interest, I went over to the “Transportation Fuels” table hoping to find someone who could carry on an intelligent conversation. I really did not want to get stuck with the usual greenies who have strong opinions but no knowledge and no interest in acquiring any. So I asked if anyone had a technical background. I got the usual blank stares and no answers. So I quizzed everyone individually. Even those chosen to lead the discussion had no expertise, but one thought that Angus did! I challenged that. Hoping that someone might have an open mind or something interesting to say, I sat down briefly. But they were not interested in a reasonable discussion, and I was not about to let them proceed without questioning every bit of nonsense. When the organizers tried to gang up on me, I told one to leave. It all dissolved in an angry scene that left organizers frustrated. I then tried another table where the discussion seemed mildly polite and thoughtful. The leaders were initially more careful to avoid pure rubbish. But they were trained to bring the discussion back to the propaganda points they wanted to push. I kept blunting those such that they made no progress. When Mike came and sat down with us, he explained that he had no expertise but then showed considerable knowledge and wisdom. That worked beautifully. We overwhelmed the moderators and kept pressing them. These were entirely propaganda sessions designed to convert more people to the faith. That did not happen tonight. The propagandists went home knowing that they face opposition from people who are much more knowledgeable and determined than they are. Our aggressive behavior worked very well indeed. Having more than just one or two people there gave us a much bigger impact. Thanks to Chuck, Kathleen, Mike and three others whom I don’t know by name. Let’s hope that this is the first warmist of many to embrace scepticism. Lynas is showing integrity here. The absence of that quality in most Greenshirts gets up our noses. Tell me again, what I am supposed to be in denial of? Quote of the week extra bonus. “All the evidence shows that we are living in an increasingly unstable world,” Prince Charles told industry figures gathered in Canberra. By the way Charlie boy the weather / climate is not getting weirder according to recent peer reviewed evidence. No trends >>> here, here, here & here. Long live the Qeen. Long live Prince William and Harry. Mark’s not made the whole leap yet, chaps. He has, however, become somewhat more spatially aware. He’s just about to recognise that there ought to be a Health & Safety “MIND THE GAP” notice displayed prominently in the space between actual observational science and many postnormal climate “sciences”. It takes a long time for a “warmist” to confirm, by revision, where these boundaries really do lie compared with where he so long believed they were. Give him time and he will get to where we are.. his priority is at least the integrity and veracity of the science and strict adherence to the traditions of the scientific method. Rest assured, with these priorities rather than an ideological agenda, he will get here soon enough. If the ‘deniers’ were the only ones standing up for the integrity of the scientific process, that would be ‘stunning’. Presumably I would need to trade in my BSc tag to a DEn tag in the future. You deny their warmista propaganda and rubbish, Nuke. That’s it. Congratulations. “Better late than never” my mother would say as I came home. The subsidy is to the blenders of the gas-a-hol and the tariff is on importation of the same ethanol for that purpose. Both were to support domestic corn-to-ethanol production. With these items set to expire, the administration does not want to get in line to offend or lose additional votes (this is basically a RED state area – Republican) in the plains states (middle of USA, from Nebraska to Ohio and from Dakotas to Kansas). The requirement for ethanol blends remains, but the protection will go and the subsidy for blenders will end. Other subsidies exist for ethanol production. Hope this helps. Yes, it is a bit OT, but it may be worth a post for itself. Now, I’m not that current on the specifics of the law, so others may be able to enlighten you more than I can. Currently, the U.S. subsidizes ethanol production. Subsidize——–The government pays extra for people to make it. We do this with many things, as does, I’m sure, the U.K. Recently, the Senate voted to stop doing that for ethanol. Which, in my estimation, is a good damned deal! But, this would be largely symbolic if they’re set to expire at the end of the year anyway. As far as tariffs go, I’m not aware of us applying tariffs to ethanol, but it could be that we are. This would necessarily raise the cost of the imported ethanol, in which case, I’m for the tariffs. There’s plenty more to be stated, but then this thread would take an entirely OT direction. I hope it helps. It seems to be mostly about the 45 cents/gallon blending credit which helps to keep the bioethanol industry profitable. The White House supports the industry for “energy security” reasons, which is why they’re opposed to changing the subsidies. BTW, I think your question is very much on-topic. I think he’s questioning integrity of the IPCC, not the science itself. Still, the more, the merrier. OK, maybe the actually reality of renewable fuels is a bit off-topic, but real quickly – there is still a 54 cents a gallon tariff on imported ethanol (which really PO’s the Brazilians). Before we get all excited about this new convert, let’s recall some of our other friends that denounced the contents of the e-mails, only to quickly jump back to their alarmist ways. Has anything been said on the BBC yet? Somehow it’s better to pay people to convert food to fuel…. This is not the first time this type of thing has occurred. When the glaciers melting in 2035 item cam to light I did a little (a lot actually) digging, if you look at the trail it does not look like the 2035 date was a ‘mistake’, rather selected and planed by the WWF in co-operation with a carbon trading firm. For some reason these linkages were never widely realized. Does this look ‘sloppy’ mistake to you? From the CRUs own website we know the World Wildlife Fund funds the CRU. I wonder where a charity gets the money to fund climate research. I see an employee of a Carbon Trading department, working for the World Wildlife Fund, submitting bogus content to the IPCC, just to scare people into implementing Carbon Trading. There is nothing ‘sloppy’ there, just business being business. Looks pretty clear cut and well planned to me. I don’t think that Lynas has embraced scepticism. He has merely reacted strongly and appropriately to yet another self inflicted wound by the IPCC which has developed a real problem with pedalplunkia — habitually shooting oneself in the foot. There’s nothing dreadfully wrong with letting someone who knows about renewables edit a report on renewable energy. But it is very important to make sure that the result is a consensus of all rational views on the subject and not an propaganda vehicle for one particular viewpoint. It’ll be interesting to see what the report says. My gut reaction is 80% renewables by 2050? Whatever these guys are smoking, it is surely illegal and one should not drive while under its influence. I’d like to be wrong about that actually, but I doubt that I am. To answer your question, No, nobody in the USA can explain that statement, though some before me have described the situation pretty well. This is something we’ve become accustomed to here in the USA. To those who responded, thanks. I think I get a feel for it now. Um … yes Mark, “integrity of the scientific process” has been pretty much the default “denier” position for some time now. Glad to see you have finally caught up. Incidentally Mark, I fear you may have been deleted from rantin’ Joe’s Xmas list this year along with “disinformation McIntyre”, Revkin (who probably hunts Hobbits out of season or some such) and of course our gracious host. Not to worry – that’s what you get fur askin’ awkward questions about the proposed path from here to Unicorn Utopia. Here in the cold dark caves we welcome newcomers (just don’t grab at the Mammoth rissoles) . How can we possibly have 80% renewables by 2050 given the abysmal state of renewables? It would take cutting the population by 90% and covering the Sahara with NASA grade solar receivers to give us 80% renewables. It jus isn’t logical, unless their plan coincides with planned forced population reduction. Now THAT, my WUWT friends, is a solid indictment of the products, processes, and participants in the incestuous world of the AGW activists; UN-IPCC, GreenFleece, etc. !!!!!!!!!!!!! Coming from Mr. Lynas, it emphatically shows that the topics raised here on WUWT by the host of most excellent contributors (a Lynas h/t to Steve McIntyre!) are getting far broader exposure and consideration. Individually and collectively, by focusing on honesty, integrity, open disclosure, and independent replication or falsification of claimed analyses, YOU are having a major impact in the scope and direction of weather, climate, atmospheric, solar, and exosolar research and discussion. I humbly stand in awe and applaud you all !!! WUWT – The little engine, that could…..
Err… “Evidence of a politically unstable world in which those in the bubble, Charles being just a minor one, continue to test to destruction the patience of the victims of the greatest theft in human history”. Perhaps Charles might spend a couple of years living anonymously on an English HMG pension and thereby demonstrate his commitment to all things green dying alone in the cold, another anonymous victim of the the robbery. No, I guess he got his answer from HMG and whipped out the royal credit card to pay for the fuel. Must be nice to have that option. I can’t believe that anyone in Aus is listening to this scammer (or his useful Aus idiots). I guarantee that your newly closed (carbon tax and all that) wealth mines will re-open within a decade under new ownership and Charles, for one, will be a major shareholder in the newer world order. Contracts with China intact – Charles gets to carry on giving “green” speeches using his newly (Aus) wealth backed bank account. Try it this way – a guy wandering the streets of London with his opinions would be just another “cardboard box citizen” without the backing of his mother and their collectively stolen wealth. They named him correctly – Charles – and he should remember his family name sake… and his eventual fate. I see Mr Lynas punching nails into thick oak boards covering the windows trying to save his people from the heretic horde out there in the big scary, and utterly doomed, world. Only to find out that, while frantically hammering crooked nails into obviously rotten boards, shutting out the, non warming, sun light, he’s freely walling himself in with the eaters of rationality, the hippie climate communizt zombie horde. And it’s hungry! REPLY: What that means is, even though the US Senate has approved a law to rescind these subsidies and tariffs placed upon imported ethanol, Pres. Obama won’t sign or act on the legislation as it will die a natural death on its own, after which time it is unlikely that the subsidies & tariffs shall be renewed. He’s straddling the fence on this one. I second your sentiments about WUWT!! Thanks CRS, Dr.P.H. A sunset clause; got it. It just isn’t logical, unless their plan coincides with mass murder and genocide. As I understand it, the statement on % renewables refers to supply, not demand. If renewables are currently, say, 1% of global energy supply, all you need to do to achieve the “80% renewables” target is to cut non-renewable energy supply by 98.7% (give or take a couple of nukes). ie, you don’t need to build new renewables, you only need to close non-renewables. The target is even easier to meet if you count nukes in renewables, but the hair-shirt brigade campaign vigorously against the word “easier”. Types one and two seem extremely rare, if they exist at all. There does seem to be a group (some call ’em a “team”) which believes type three. So perhaps “climate change deniers” exist – but it ain’t us! I agree. It is an extremely worthwhile discussion, very well deserving of its own thread. Furthermore, and in actual fact, there is a new revolution starting (started) in commercial synthetic biology that doesn’t involve bioethanol, mostly around here (no surprise). This wasn’t just a regular IPO. This was a full oversubscription, in a garbage market. People who drop out of mind-control cults sometimes benefit from Cognitive Behavioral Therapy, to help them sort out false beliefs about themselves, and to help them reintegrate into a predominantly reality-based society. I think that establishing an organization to promote the mental health of “Jack” Warmists would be a worthwhile project. But good luck in getting tax-exempt charitable status from the feds! Lynas is a bit slow on the uptake. He should have reached this conclusion when the original hockey stick (still prominently used) was debunked and found to be a fabrication based on questionable statistics and gross statistical overweighting of a handful of tree rings purporting to show temperature. 1) Buy, at outrageously expensive prices, enough windmills and solar panels to meet 50% of our current energy needs. This would be done by the government and would require either much higher taxes to pay for it, or it would increase our collective debt by a rather substantial margin. 2) With the resulting depression for the financial mess the governments created, world energy requirements will fall by 1/3, allowing the newly ‘right sized’ global economy to survive on 80% renewable energy sources.